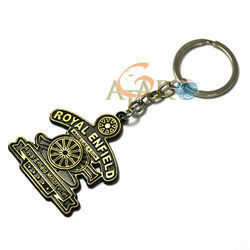 - We offer a unique Royal Enfield Brass Keychain. 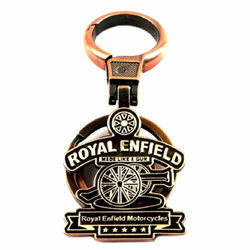 - This keychain exclusively designed for Royal Enfield riders. - This is an ideal gift item particularly for Royal Enfield lovers. - High Quality utility Key Holder with Attractive Design. Strong and Durable Product with Superior Finish. - Light weight Key Chain. - Battery life according to Usage. - This is the most unique high quality metal key-chain. - Quality Demands Its Price, therefore we do not sell cheap quality products !